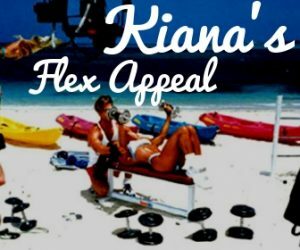 Led by Fit Mom, Kiana Tom, Star of Kiana’s Flex Appeal ESPN, the #1 rated fitness show of all time reaching 80 million homes worldwide. Full access 24/7. Unlimited streaming to any device. Real-time, online group fitness classes that are recorded “LIVE!” at Kiana’s Gym by the beach. Train anywhere, anytime. Suitable for all ages and all levels. Access anywhere in the world, using your PC, laptop, iPhone, iPad, AppleTV, Roku or Android device. 100s of Videos On Demand: Workouts 5-60 minutes, Exercises, Recipes and More!